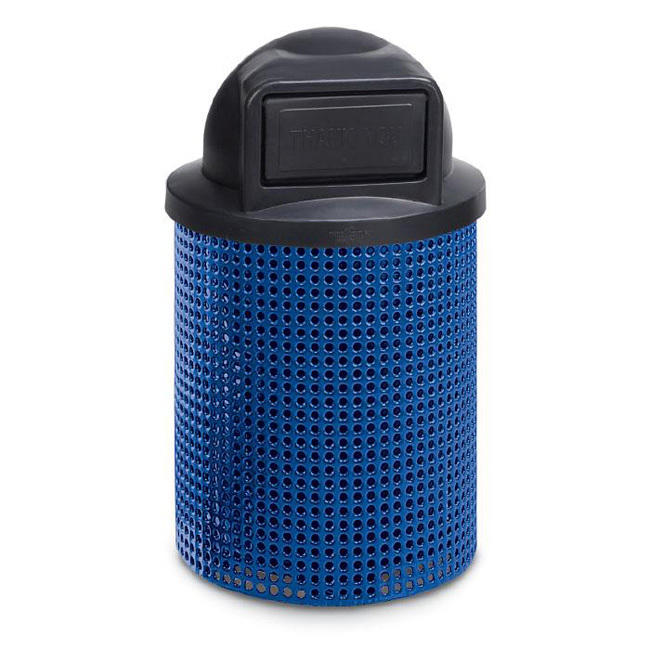 Made of the same strong vinyl coated perforated steel as our tables, the Rolling Hills 32 gallon receptacles are rugged and attractive. Receptacle is ground securable and comes with a teather strap to attach lid to receptacle. Receptacles are available with your choice of 9 different multi-purpose lids.